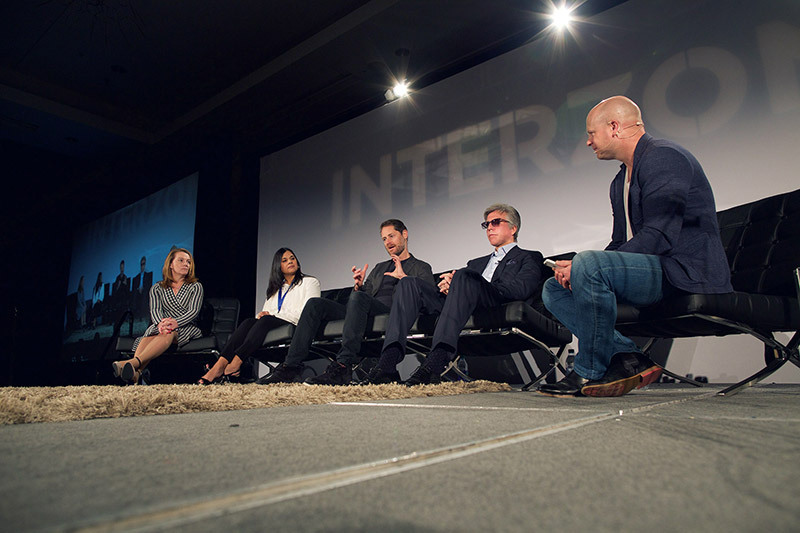 The Interzone conference in downtown Vancouver proclaimed that “World War III will be fought in binary code.” But did most speakers, attendees, or your intrepid BetaKit journalist on the scene have an inkling of what that even meant? (Full Disclosure: I moderated a panel called American History in Binary Code focused on ‘the next generation of human enterprise’). That, as the jury-is-out crowd are wont to say, is a very good question. Either way, folks on stage and members of the audience asking questions performed a heroic service in connecting the dots between the various focal points: education sessions about tech for enterprise-class companies, panels exploring new paradigms of business like the sharing economy, and more openly political discussions involving panels on security and democratization through social media. It was fun, it was different — and it provoked a lot of follow-up discussions afterwards over cold beverages and a relaxed after-party atmosphere sponsored by IBM. Here are some of the highlights. McDermott said that it’s an opportunity, but also a challenge for leaders trying to sustain their company culture. “If you look at the sustenance of corporate cultures, making sure your purpose is going to be held together in the next 20 years, it’s going to get harder — because people still need human contact,” he said. The next session addressed how technology and new questions around ethics are transforming centuries-old industries. “Technology is helping government to get comfortable with regulating a product, marijuana, that was outside the bounds — and now the questions are about tracking where it’s distributed, how much it costs,” said Jessica Billingsley, CEO of MJ Freeway. “The green rush community – we’re talking about other scheduled substances. Do we draw the line where it has medical benefit? Or do we allow humans to make their own informed choices?” With access to more data, governments, and the citizens who elect them. can make better decisions about how to deal with entirely new and sometimes controversial kinds of businesses. Complicating things further, private citizens, corporations, or government may not even know a violation of privacy has occurred until long after it happens – putting both law enforcement and the legislative process itself in a never-ending game of catch-up. Technological change is spurring political reactions in some very dramatic and surprising ways – and there’s no doubt that the conversations at Interzone will be the catalyst for much deeper discussions in the weeks and months to come.